This is not a complete list of BÖC's television appearances, but does include the majority of their television appearances. If you have any further appearances and can provide accurate broadcast information, please contact us for addition to this list. Thanks to the wonder of YouTube, now there are links to point you to where you can watch some of these gems. A vintage photo of the band was shown, taken at a bar mitzvah they'd played in 1970 for show producer Joel Gallin. Interview segment with Eric Bloom, Buck Dharma and Allen Lanier discussing violence in rock & roll. Excerpts of "Born to be Wild" from the "Black and Blue" movie shown. Take off was an special edition of "Night Flight". Filmed at the same time/location as the Joan Crawford video. Sound bites with Eric Bloom discussing freedom of expression. A short-lived competitor to Saturday Night Live. Allen Lanier guests on piano with the Jim Carroll Band. Carroll performs 3 songs. Allen Lanier participates in a piece about rock musicians and hearing loss. Tom Snyder narrates. Eric Bloom and Rick Downey appear with Martha Quinn. Interview with Joe and Allen. "Veteran of the Psychic Wars" video shown. Interview Segment with Allen Lanier & Joe Bouchard. Joan Crawford video is aired. Buck Dharma cameos as a frustrated aspiring guitarist in hilarious video by upstate New York band, Blotto. He also plays the solo in the song. Eric Bloom and Buck Dharma participate in "heavy metal" "We Are The World" with Ronnie James Dio and others. Buck, Eric and Jon Rogers interviewed. "Astronomy" video aired. performed live in the studio. Interview segment with Eric & Buck. Cable Access show. Interview and "Stairway to the Stars" live. Interview Segments and song excerpts. Interview Segments with Allen, Buck and Eric. Song excerpts from Philadelphia show. Brief interview segment with Buck, Eric and Allen. Clips from various videos and comments from rockers Blackie Lawless (WASP), Sebastian Bach (Skid Row), Scott Ian (Anthrax), and James Hetfield (Metallica). "Burnin' For You" is lampooned with pop-up word balloons. A feature program about the classic rock concerts that happen at the famous Buffalo Chip Campground during the Sturgis biker festival. Concert footage and interview segments with BOC. Homer exclaims, "Stop harvesting me with your eyes"
In the 1996 "Homerpalooza" episode, Homer says "This man doesn't fear the reaper!" 1987: Question about "(Don't Fear) The Reaper" used. 2001: Rock 'n' Roll Celebrity Jeopardy, Kevin Cronin of REO Speedwagon fails to correctly respond to his question (the answer was "Blue Oyster Cult".) A disappointed Cronin replies, "Ah, Geez, and I know those guys, too!" Voiceover lists many fantasies that one might have dreamed of, including "jamming with Blue Oyster Cult", suggesting that at least one of them (owning a Mercedes) is achievable. Character says "I thought you said Blue Oyster Cult was the soundtrack to the revolution"
"(Don't Fear the Reaper)" is used in the episode. Character "Donna" has a BOC 5 guitars poster on her wall. "Cities on Flame with Rock & Roll" appears on the "That '70s Show Presents That '70s Album (Rockin)" CD. Guest host Christopher Walken stars in a skit as record producer Bruce Dickinson, in the studio as Blue Oyster Cult (played by SNL cast) records "(Don't Fear) the Reaper". Things get strange when "Gene" (the actor playing the Eric Bloom character) gets "jiggy wit" the cowbell. Main character Nikki is a showgirl at a Las Vegas casino. In a scene that takes place backstage, there is a bulletin board on the wall, and above it is a large BOC logo. Nikki does a dance routine to "Godzilla" while dressed in a Godzilla costume. Wolfgang Puck was cooking with blue tipped oysters and exclaimed "Just like the band Blue Oyster Cult!" "Burnin' For You" plays in the background of a scene. Guest Chris Titus, commenting about Jillian Barbeire's Harley Davidson outfit said that she "was dressed to go backstage at a BÖC concert." 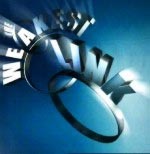 This documentary about the quiz show, "The Weakest Link," explores the launch of the show in the U.S.
At one point host Anne Robinson, dressed in customary black, steps up to the podium, backlit with flashing blue lights and surrounded by smoke while "Don't Fear the Reaper" plays in the background. 2001: "Don't Fear the Reaper" is played by the band for Jenna Elfman's ("Dharma & Greg") walk-on. Dave quips, "We just don't hear enough Blue Oyster Cult these days" to which Bandleader Paul Schaefer replied that the connection was that BOC has a member named "Buck Dharma", and of course, Ms. Elfman plays "Dharma" on the aforementioned show. 2003: Newly acquired NY Yankee baseball player, Hideki "Godzilla" Matsui, reads the Top 10 List. Introducing the segment, Paul Shaffer & the band plays "Godzilla". "(Don't Fear) The Reaper played at the close of an episode. Mentioned Blue Oyster Cult in his live set saying "We're going to play a lot of songs and we get done with them, we're going to play all the Blue Oyster Cult songs!" He was being interviewed by a ficticious TV reporter who asked how he came up with his songs. Chris said "We take some Abba and some Blue Oyster Cult, play it backwards, and change the lyrics a little"
A mention of Blue Oyster Cult in epsidoe titled "Hit Parade," original airdate 11/22/96. In a show about the 95th anniversary of Harley Davidson, there is a bit about the Sturgis Rally. Host Peter Fonda mentions the music at Sturgis, they use a clip with Blue Oyster Cult onstage playing "E.T.I." Sock puppets Sifl & Olly perform "Don't Fear The Reaper" on this MTV show. Episode 21, Season 2, "The Most Wonderful time of the Year" features "Don't Fear The Reaper" as character Nate is given the keys to a motorcycle and rides off... the song continues over end credits. "(Don't Fear) The Reaper" served as a backdrop for a skit which portrayed the Grim Reaper as an absolute loser--experiencing humiliating failures whatever the situation, including losing in basketball, parallel parking, shrinking his outfit in the wash and inability to perform in the bedroom. Season 7, Epsiode 4: "HELP"
Buffy, when faced with a group of kids attempting to sacrifice a girl to a demon taunts their ineptitude with a roundabout BÖC reference. "I bet it's because you forgot the boombox playing some heavy metal thing, like... Blue Clam Cult? Isn't that the music to raise lame demons?" Episode: 910. 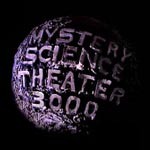 During the feature movie, The Last Sacrifice," when a movie character asks "if he knows who he's dealing with ... its a cult"
To which Crow (the robot) responds "yeah and they worship blue oysters." One interviewee is wearing a Blue Oyster Cult logo ball cap. Episode: Precipice. An acoustic cover of "(Don't Fear) The Reaper" by the band "Gus" is played near the end of the episode when Lex proposes to Helen. "(Don't Fear) The Reaper" used in two epsiodes of "I Love the 70s: 1973 & 1975". "Burnin' For You" video used in "I Love the 80s: 1981"
"Hot Rails to Hell" was used as bumper music. As it led back into the show, Regis says "Hey That was "Hot rails" by Blue Oyster Cult. They're great. Whatever happened to them?" Short interview bit with Eric Bloom as he recounts the influence of the Beatles on the 40th anniversary of their arrival in the USA. Episode: "To Kill A Mocking Alan". In this BBC comedy about an aging TV/Radio personality there is a scene where a DJ (David Clifton) is heard announcing "Dont Fear The Reaper by Blue Oyster Cult," followed by about 5 seconds of the song's intro. "Stairway to the Stars" was used as bumper music to bring in a story on an astronomy-related topic. "(Don't Fear) The Reaper" is background music for a scene in the pilot of this series about a teenager detective. 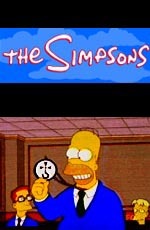 BOC has been used on at least two episodes of this series. In episode #12, "(Don't Fear) The Reaper" is played. In episode #17, BOC is prominently (subliminally) included. "Burnin' For You," and "Godzilla" are all heard as background music, and one character actually sings a bit of "Fire of Unknown Origin". The "Fire of Unknown Origin" album cover gets some screen time, as well as the BOC logo is shown, being used by young people as a fake religious symbol. In this cop/time travel drama, an accident befalls a policeman, and wakes up way back in 1973. "Stairway to the Stars" punctuates his experience in the first episode.